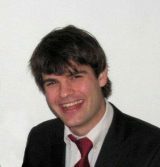 On a global level, the potential for renewable energy is more than sufficient, writes researcher Schalk Cloete. However, on a regional level, this is not the case, especially in developing Asia and Africa. 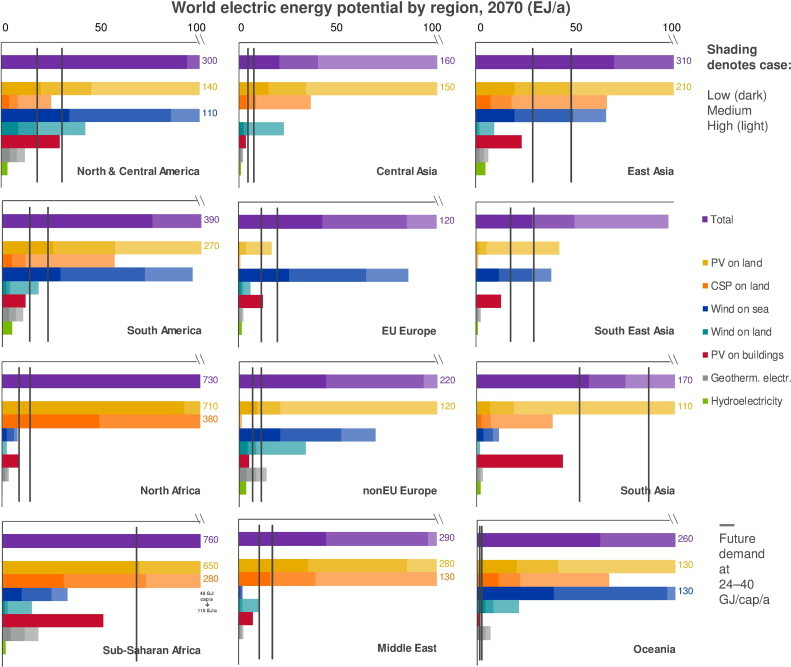 Renewable energy technology forcing in these regions can have serious socio-economic consequences. It is clear that PV, CSP and offshore wind hold the greatest potential. 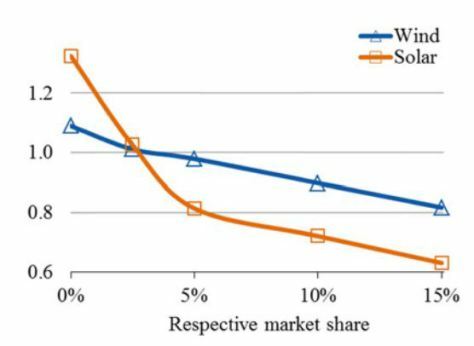 Onshore wind has a much smaller potential, especially under low (3%) and medium (6%) land availability assumptions. PV on buildings also has quite a large potential in the year 2070 due to assumptions of large urban buildouts and large gains in solar panel efficiency (35% in 2070). This article was first published on our sister website The Energy Collective and is republished here with permission. Serious considerations, and the bar graphic is indeed informative. I expect that the future will include markets in solar generated liquid fuels, but that is far from practical at present. In the shorter term, regions with good insolation should be able to develop social and industrial systems which match better the solar delivery profile. Maybe not so ‘efficient’ but we in the west have developed some very bad habits during the centuries-long glut of fossil fuels. Yes, some serious technological progress in electrolysis could turn places like the Middle East into a great solar synfuel exporter instead of a great oil exporter. The major problem with synfuel from solar PV, however, is the very low level of capacity utilization. Social change to adapt to the availability of renewable energy is also an interesting discussion topic. We can definitely all live much more energy conscious lives, but it is difficult to see this happening unless the majority of people believe that this really is the only option. I cannot really see this happening any time soon. match PV size/output to A/C 24hr demand plus estimate for none-A/C elec (at night in the range 6 – 10kWhr). At a guess a mix of 6 – 7kWp of PV + the kit listed in the link plus say 12kwh of battery storage and in a summy location like California (or South of France, … or…) you are probably looking at 70 – 80% self sufficiency & all the kit is available right now – there is probably even a business case. Crank up elec’ prices & it will be surprising how people see the above “as the only option”. I spent some time a year or two ago trying to find reliable capital costs, product lifetime and efficiency of this technology, but was not successful. Based on simple COP estimations, the efficiency should be around 70% – a bit less if heat losses and the electricity consumption from fans is accounted for. Do you have a good reference for capital costs (per kW and per kWh) and useful lifetime? Well, as a very trivial example imagine household refrigerators which build up an excess ice reserve during the day and manage without current (or almost) through the night (or even a few days with care). If inexpensive, these could be very attractive in countries with good sun and flakey grids. It’s also not a disaster if they warm up a few times per year (and who really needs air conditioning during the monsoon season). There is a high price for 99.9% reliability and much social improvement can be achieved with more relaxed standards. This may be more problematic for industrialization, but there are probably useful things to be done in the absence of massive new coal generation. Actually, you solve this easily today: you have only to buy a little bigger frezzer or refrigerators and fill it partly with icecubes/water that keeps it cold for longer time. Put a timer on the power cord so it only runs from 9 am to 17 pm. The capital costs of P2G is not high and those plants are unmanned. So why would that be such problem? Projected costs of future PEM electrolysis technology comes in at about €800/kWH2. This is not so much, but if you say that electricity will come from peak solar PV (probably less than 4 hours per day on average), this cost blows up to €4800/kWH2 – roughly the cost of a nuclear plant. Hydrogen distribution and storage costs are also quite high. If the hydrogen is only being produced for 4 hours per day, this capital will also become very expensive. Alternatively, the hydrogen can be used to make hydrocarbon synfuels or ammonia, but this will add additional costs. Very informative.Have you updated to 2018 onwards but I suspect they are the same. I want to reference these what is the citation I should use to give you full credit? Why? Solar power generation is and will be used extensively in areas with urban developments. 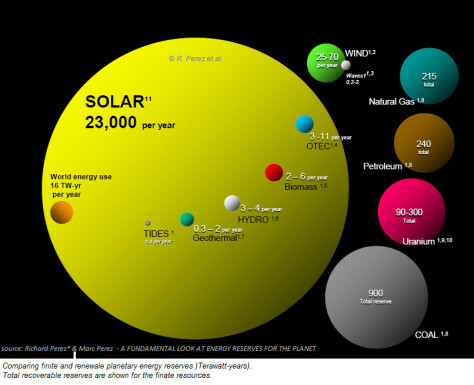 This statement does not include rooftop solar PV (the red bar in the graphs). Cost is almost entirely labor costs. The thing developing economies need is jobs. The economic policies for developing economies nend to be like those of China for decades, manufacturing and constructing using local labor. An African nation might be better off using obsolete cast off manufacturing equipment from a developed nation to manufacture solar cells, starting say in 2000 on the production experience curve to leverage lower local wages in a labor intensive obsolete cell assembly into panels. More important than the products themselves is the experience gained in manufacturing, marketing, and construction of finished capital with end to end finance – the entire value chain. Whether wind or solar or batteries, the industry has evolved to modular standards so different generations and sources of components can be mixed and matched. Cost becomes jobs and worker income. Income is the means to pay for the energy produced. 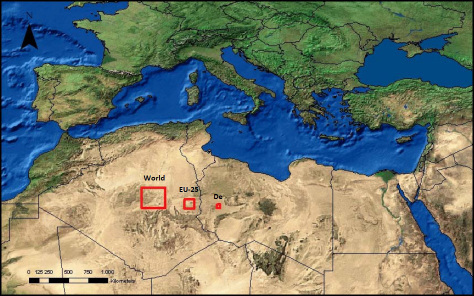 The interesting point in this article is that available land area varies greatly around the world, and therefore the space available for utility scale solar and hydro. 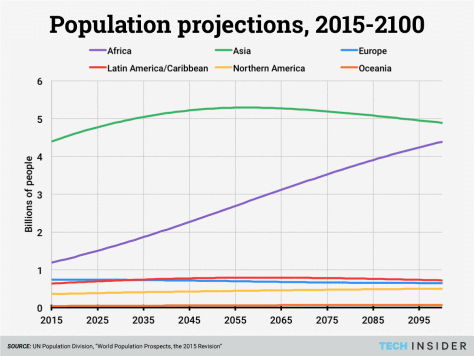 But the rest is way to pessimistic – 2070 is far away! Anything could happen by then, both technologically and socially/politically. Estimating only a 35% conversion efficiency of solar PVs in 2070 is very unlikely. By then, PVs will certainly not be made from super pure silicon wafers anymore, but be super cheap and pliable, covering not only rooftops, but entire building, cars, etc. 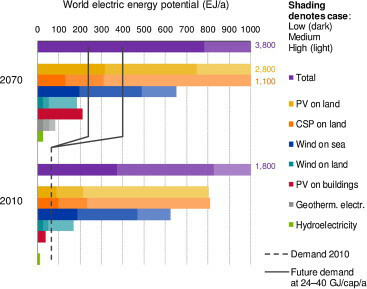 The main issue here is not insufficient solar PV potential (aside from Europe). 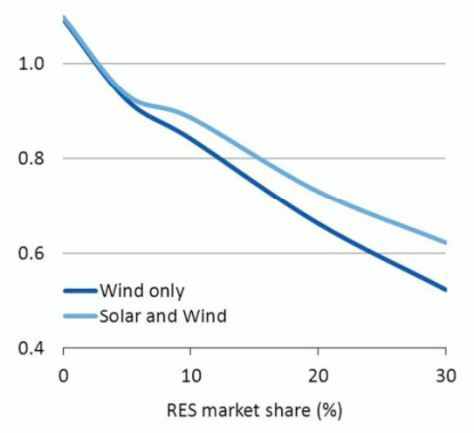 The issue is more with wind – which can scale to higher market shares without losing too much value, especially when combined with solar PV. I agree that these kinds of long-term studies will be wrong in many ways, but they do give some valuable insights that are often overlooked by renewable energy advocates. We already see batteries at 180-200 Wh/kg, and as low as $145/kWh capacity (LG Chem to GM). Stanford’s Professor Cui has small-scale commercialization of 300 Wh/kg using graphene cages to keep Si fragments in contact with each other after Li goes in and out a few times. We will see $100/kWh and >200Wh/kg batteries in mass production well before 2020. There are available, but not yet commercialized, improvements for wind turbine design that will very likely cut the levelized cost per kWh in half within 5 years. The batteries will realize the full economic potential of intermittent solar, wind, etc., so they earn more money per kWh and can spread 1 to 2 orders of magnitude faster. That is cheap enough and close enough and dense enough to plan for a total disruption of internal combustion by batteries in the transportation industry, and of fossil and nuclear fuels for electricity by renewable energy and batteries, within 10 to 15 years, relying on a combination of capitalism and economic policy decisions.